I treated myself to a new scanner last week. My old one had been collecting dust. To date, all the art in my posts, with the exception of reblogs, has been photographed with my iPhone, emailed to my computer, then downloaded to the blog. So, why do I tell you all this boring stuff? I’m apologizing in advance. As I go through the rescanning process, once in awhile you may see a drawing you’ve seen before. 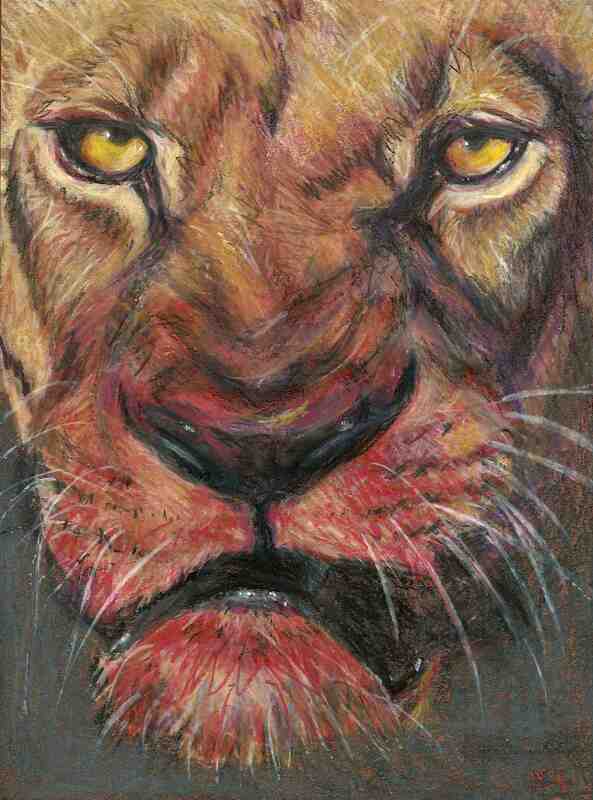 For instance, the lioness below is one I used sometime ago in a previous post. I felt she deserved a nice scan. Here she is making her scanning debut, Lioness after Lunch, in all her splendor and red sauce. Please bear with me – you haven’t seen the bear yet 🙂 – as I clean up my act and attempt to get ann together. Lioness After Lunch, and Bear Shy, drawn eight years ago, when I hung ’round the kids when they played outside. I used reference photos for lioness, but I can’t remember from where…perhaps Nat Geo or a African Wildlife book, maybe both? 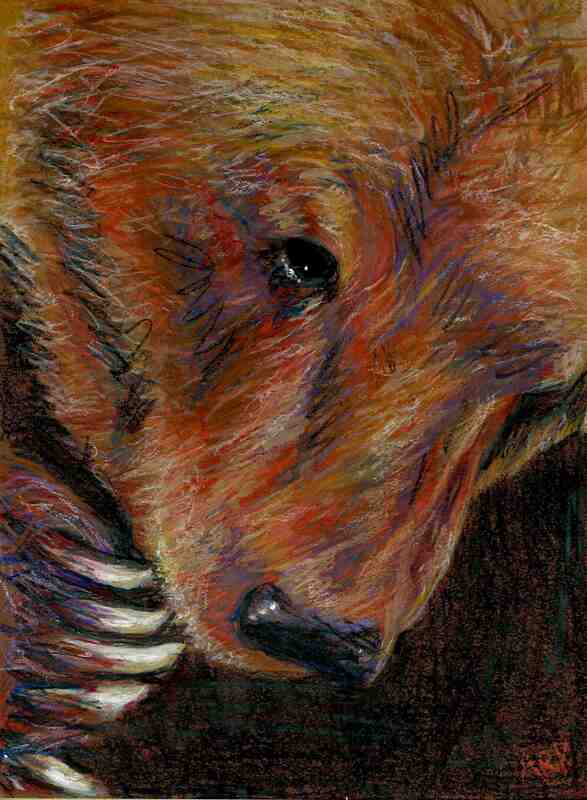 This entry was posted in My Art & Writing and tagged art, bears, blog, cameras, design, humor, inspiration, iPhones, lions, photos, pictures, reblogs, scanning, wildlife. Bookmark the permalink. AnnMarie, how interesting to read about how you work! I always wonder how people put their blogs together, and glad to learn of your process. Getting excited about the “anntogether 2.0”! Love these wildlife drawings/photos! There’s Nothing like starting My Sunday morning with a cup of coffe and Reading your blog 🙂 It gets me in such a good Mood .I’ve always liked lion’s Above all animals so your lion portrait made My day ❤ . I’m glad you found this post.